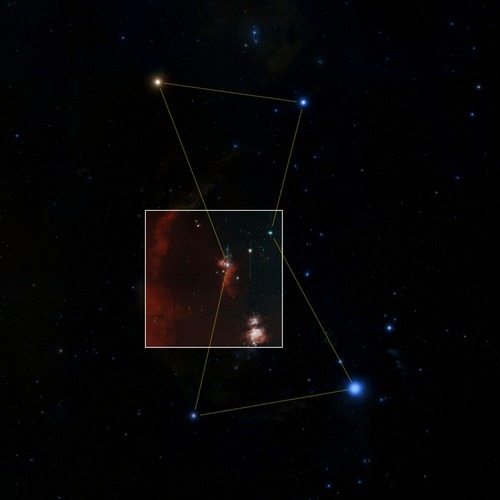 The "first-light" image from ZTF is shown here (inset) within the Orion constellation. 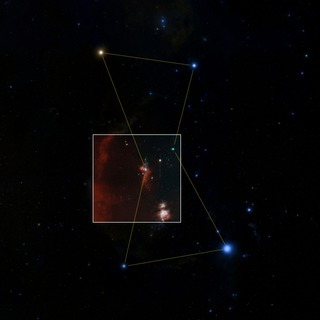 The Orion nebula can be seen within the ZTF image. Each ZTF image covers an area of sky equivalent to 247 full moons. 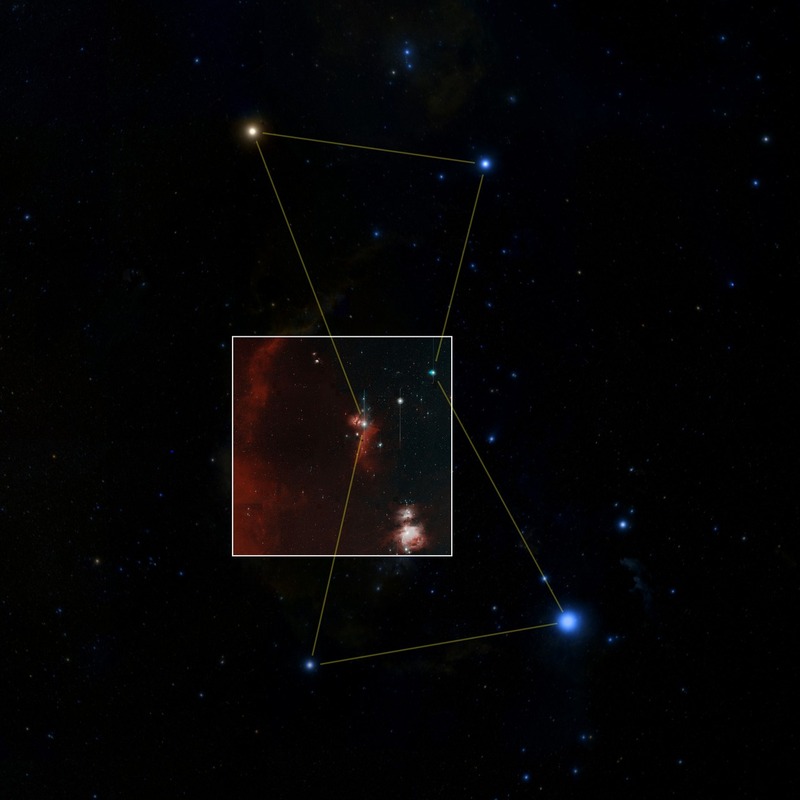 Such large images will enable the camera to scan the sky quickly to discover objects that move or change in brightness, such as asteroids and supernovas, even when rare and short lived.